Of all the designs that Plaxton have come up with this is by far my favourite. Clean simple lines which have not dated as badly as many others have. The current Plaxton designs are rather dull and boring in comparison although the brand new top of the range model looks striking enough (are there any actually out on the road yet?). This coach carries the (happily) short lived Western National coach livery. I believe the first new Elite in service is with Jones, Login (Wales). Of equal interest to the historian is the Badgerline minibus following the Leopard. 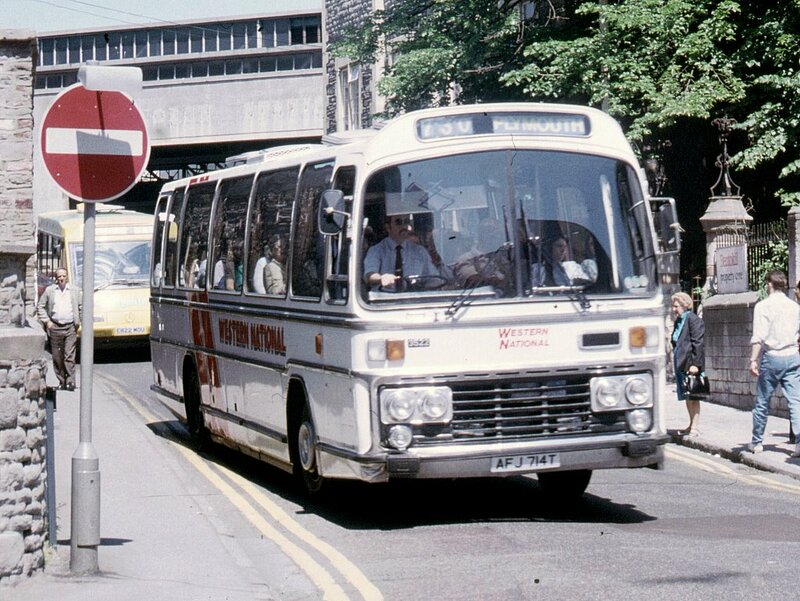 My money's on the Panorama Elite I to III as the best ever Plaxton body. The Elite that was on show in Birmingham last year is now in Service in The Irish Republic.